This video features North Star dogs working with their children, and traces the development of the therapeutic bond via subtitles meant to illuminate both the ongoing education as well as psychology of an autism assistance dog placement. Therapy work with North Star dogs and children is featured, along with a cameo by a rock star! This video profiles work done with a North Star dog named Tyler, a border collie who is carefully socialized to work with a child on the autism spectrum along with a North Star golden named Stitch who works with brothers on the spectrum. This video follows several North Star dogs as they come to bond with the children they serve, with both puppy raisers as well as puppy recipients celebrated. Early search and rescue skill development of the North Star pup is highlighted, along with demonstrations of how to support children's social/emotional development via the help of animal assisted therapy (AAT). "THE BUDDY SYSTEM" follows the stories of North Star's David and Buddy before they meet, during their first introduction, and after Buddy comes to live with the Williams family. The film captures their respective journeys as both boy and dog learn and grow together. The film also chronicles the story of Jack DeSavino and his dog "buddy" Nardi, as well as that of Patty Dobbs Gross, a pioneer in the field of breeding and training autism assistance dogs. 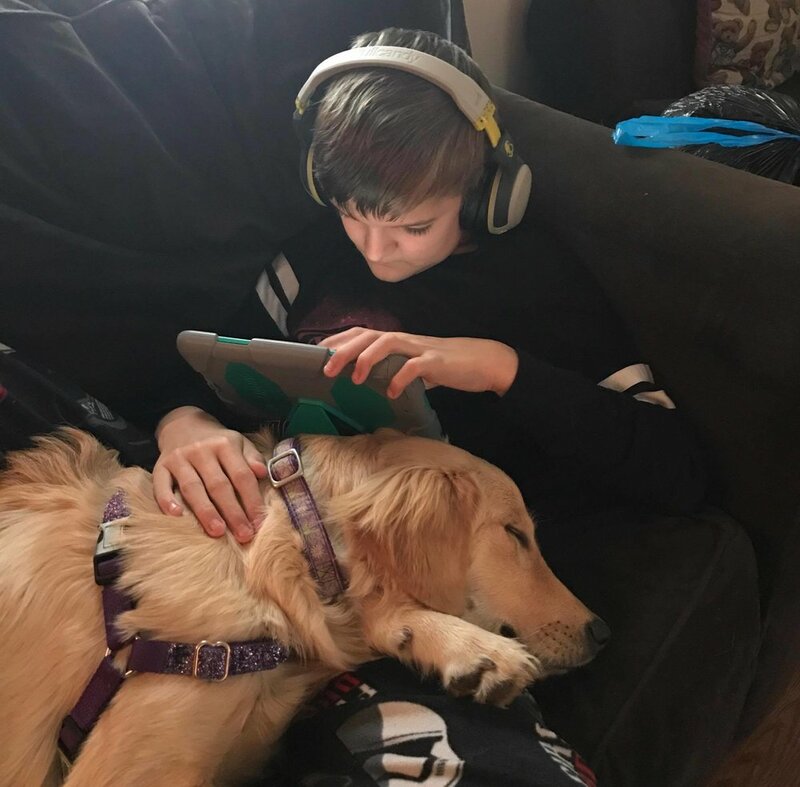 THE BUDDY SYSTEM reveals how a dog really does make a difference in the life of a child with autism...it is currently being screened at film festivals around the country, and will be released publicly later this year! information is available upon request at https://www.facebook.com/BuddySystemFilm.